This adorable little panda is too cute! He's featured in front of a large flag from Australia and ready to play football and score some goals. 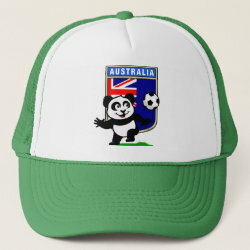 This cute design is perfect for football players and soccer fans.